Yesterday, I attended the 3Rs Symposium hosted jointly by the University of Sheffield and the NC3Rs. This is an event to bring together researchers who implement the 3Rs in their research. The 3Rs are the replacement, refinement, and reduction of animals in research. I know, I know, I know... my research is nothing to do with the 3Rs. But the symposium was free, looked interesting and open to anyone at the University of Sheffield. With previous experience of academic conferences in my research field, I went in expecting a tiring day of overly technical language and concepts I struggle to understand. I was pleasantly surprised.The day started with a gentle introduction to the 3Rs and what the NC3Rs does. I am a big fan of NC3Rs. Set up by the Government in 2004, the NC3Rs has many brilliant resources that allow it to work with researchers around the world to support them with their replacement, refinement, and reduction of animals in research. I particularly like the sound of the Experimental Design Assistant, which is an app to guide researchers through designing experiments involving the use of animals with the 3Rs in mind. One piece of research that I learnt about is a study from 2010 about how handling method effects the wellbeing of mice. 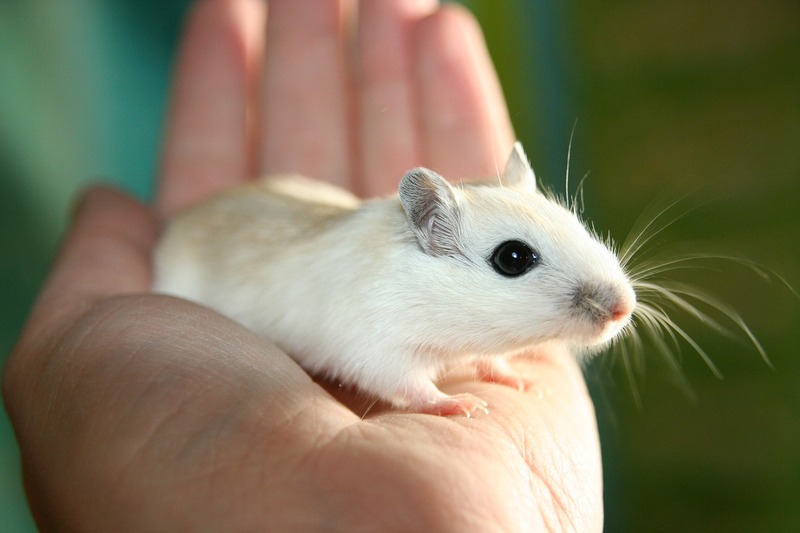 The standard way to move mice in a laboratory environment was (before this research) to pick them up by the tail. Given time pressures and the fact that often thousands of mice must be moved, this is clearly not a gentle procedure. Depressingly inkeeping with other bad scientific practice in animal research, it took until 2010 before someone thought "maybe the mice don't like being picked up by their tail". And the conclusion is... yeah, the mice don't like it. Instead, this research determined that significantly less anxiety is induced in the mice if a "cupped hand" or a tunnel system is used. Whilst I had some understanding of the scientific malpractice that goes on in animal research, I was shocked to learn that only 0.7% of studies involving animals make a sample size calculation. A sample size calculation takes the parameters being studied and the hypothesis being tested in an experiment and determines the size of the sample of animals required for statistical validity. So the vast majority of animal research either does not justify their sample size or justifies it based on "this other researcher used this many so that's how many I will use", and I don't need to explain why that is bad science*. In my area of science: solar physics, there is also a whole lot of scientific malpractice that goes on. This is a terrible waste of resources and lets people rise to the top for disingenuous reasons. This is a problem. But in animal research fields, it is not merely a waste of resources, it is the unnecessary torture and slaughter of thousands of animals that feel pain just like you and I do. This is a greater moral burden that should be considered more cautiously**. What struck me most about this symposium was the lack of appreciation of animal suffering in and of itself. Whenever anyone mentioned WHY following the 3Rs is a good idea, they talked about the way that poor animal welfare can be bad for science. While this is certainly an important consideration, I think that the wellbeing of the sentient creatures that are being purposefully infected with painful diseases, vivisectioned, and then killed surely matters. Many experiments on animals have the sole purpose of reduction of suffering (such as new drug testing), so to disregard the suffering caused in the experiment is ludicrous. That being said, I believe that a consequentialist approach is most appropriate in this case. That is, the reasons why we reduce suffering caused by the use of animals in research don't really matter. The animals don't care why they are being spared from the laboratory, they just care that they are spared. The symposium was topped off with a delicious lunch with a surprising amount of vegan food. I requested a vegan lunch when registering for the event but was pleased I was not the only one, as is often the case. I left feeling quite uplifted about the work that some organisations, such as the NC3Rs, and some researchers are doing in the replacement, refinement, and reduction of animals in research. * For a minority of animal experiments, such as very early exploratory studies, a sample size calculation is not possible to make. ** Even if we consider the good that can be done with the money from wasted resources due to bad science in non-animal research, we still see that bad science in animal research has a greater moral consequence. As a back-of-the-envelope argument, it is probably a reasonable assumption that the bad science in both animal and non-animal research is equal in magnitude, and that the money wasted due to wasted resources due to bad science is equal. Therefore the only thing left is the ethical cost of many animals suffering and unnecessary death. Hence the same amount of bad science in these two areas of research leads to different moral consequences, even if all the money wasted could be used for good.